Poll: What Parts of Your Body Do You Tip the Disc With? 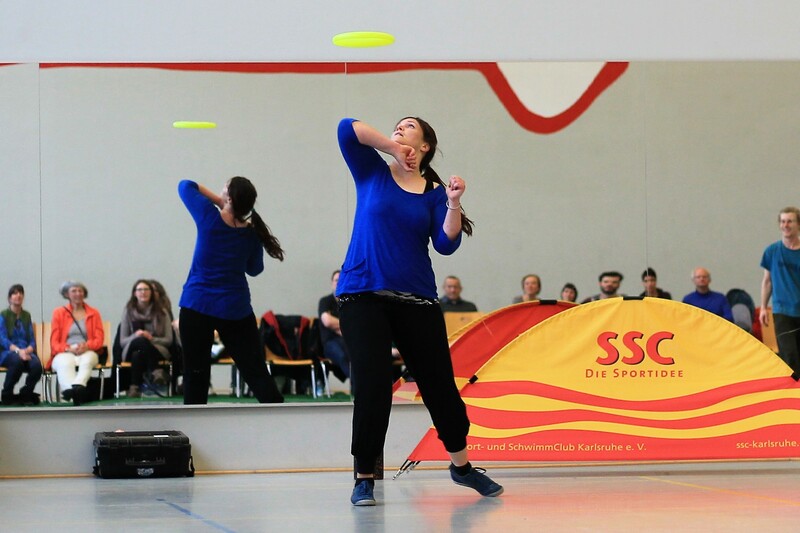 Tipping a flying disc has to be one of the oldest tricks after throw and catch. I certainly was attempting to do over head tips long before I knew what freestyle was or how to delay. My goal was to do as many as I could before I caught it. I never got more than three and had very little control. When I first learned the delay it was so satisfying because it kept the disc under control. I naively judged the tip as a non-freestylers trick and stopped thinking about it all together. Not long after, I met Tom Leitner at a jam. Before the jam started he told me a story about an impossible tipping combo by Joey Hudoklin. Then, in the jam, Tom kept doing tipping combos over and over, trying to recreate Joey’s tipping magic. I realized I needed to revisit my aversion to tipping. The next day I tried doing multiple, restricted tips and realized its really difficult. OK, mind blown and a new skill to add to my to-learn list. In my spare time I would sometimes imagine the heinest combo I could think of. My imagined tipping combo included all sorts of tips…knee, toe, heel, and lots of restrictions. I mean, wouldn’t the heinest combo include every possible tip? And, of course I thought I had them all figured out, at least from an intellectual perspective. So, boy was I surprised when I witnessed Steve Hubbard do a tipping combo in a jam. His combo started with a few under the leg tips and then, bam two perfect shoulder tips. The disc crisply popped off his shoulder as if he was hitting it with the finest point, dead center. I had never imagined a shoulder tip was possible, much less precise and powerful. Mind blown again. I could go on with mind blowing tipping experiences, but needless to say I am quite enamored with the tip. It has endless uses and possibilities. In this week’s poll, let’s explore the various ways parts of the body by which a disc can be tipped. What Parts of Your Body Do You Tip the Disc With? If you want to read more about tipping, here’s a great story about the possible origins of the tip. You can also listen to Joey talk about his famous tipping combo. Also, check out our tutorials on tipping. If there are any tutorials you’d like to see, let us know in the comments.